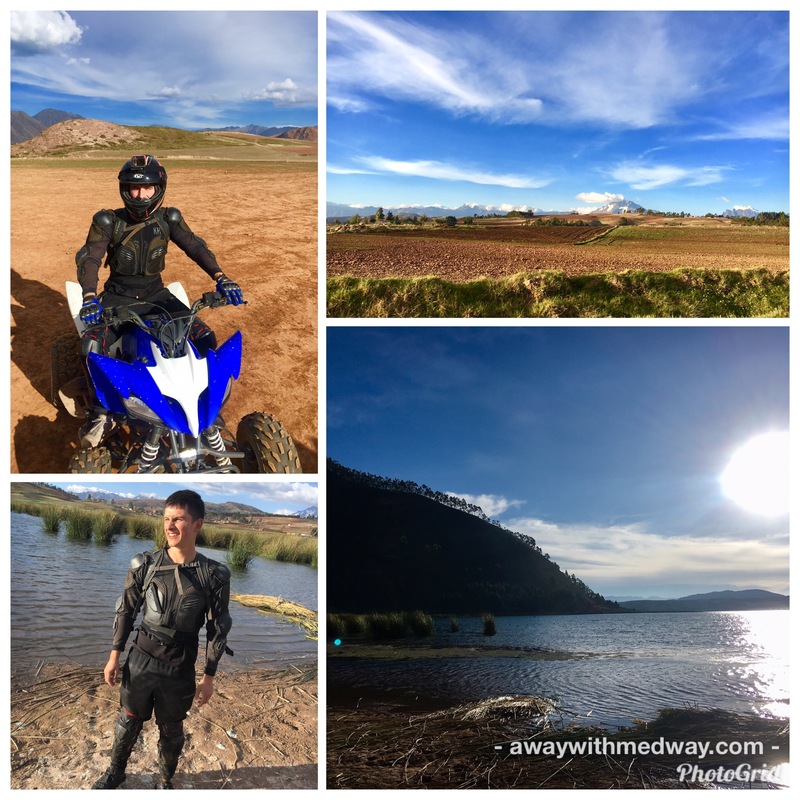 Travelling in Peru for three weeks, and experiencing the ever changing landscape from the desert and luscious beaches in the north to the bustling cities of Trujillo, Lima and Arequipa and the incredible sand dunes of Huacachina. It is finally time to arrive in the most visited city by any gringo – Cusco. The 1400 miles of travelling to get here has been long but impressive and well worth it – I hope .. 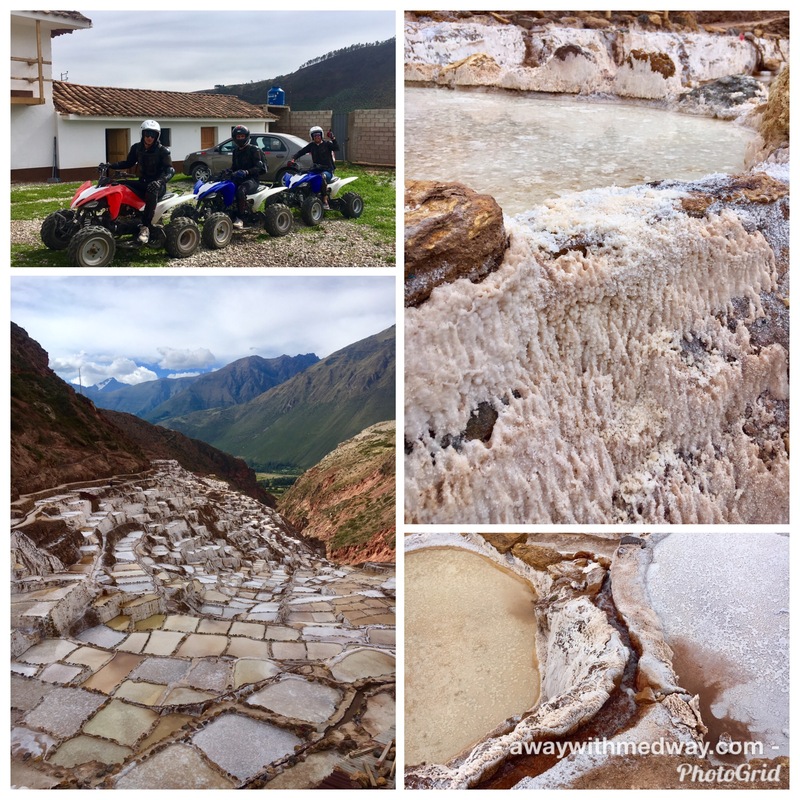 However, being downstairs you feel every bump and lump on the road as if you were the wheel – and Peru have some of the worst roads in South America and are obsessed with speed bumps every few kilometres. Suffice to say I got no sleep and neither did Esteban. Yes after three weeks of travelling together I arrived into Cusco with the Germans. So maybe now is a good time to tell you a little bit about them. Keno and Esteban fresh out of school, taking a gap year before university are the most unlikely travel companions I would have expected to meet. But being away from the routine of normal life you do things differently. Keno is 19, into football, girls and more football. He is one of the most well mannered young men I have ever met. Esteban 18, is mix of French and Italian and has little more fire in him. He is an accomplished piano and hand ball player and wants to study chemistry. But he should really follow his dream and be a photographer. After three weeks they are like two younger brothers I never had. Also they remind me of what’s it’s like to be young, which is always good for the soul. Having shopped around a few tour operators we finally decide and book through Peru Coca Travel. 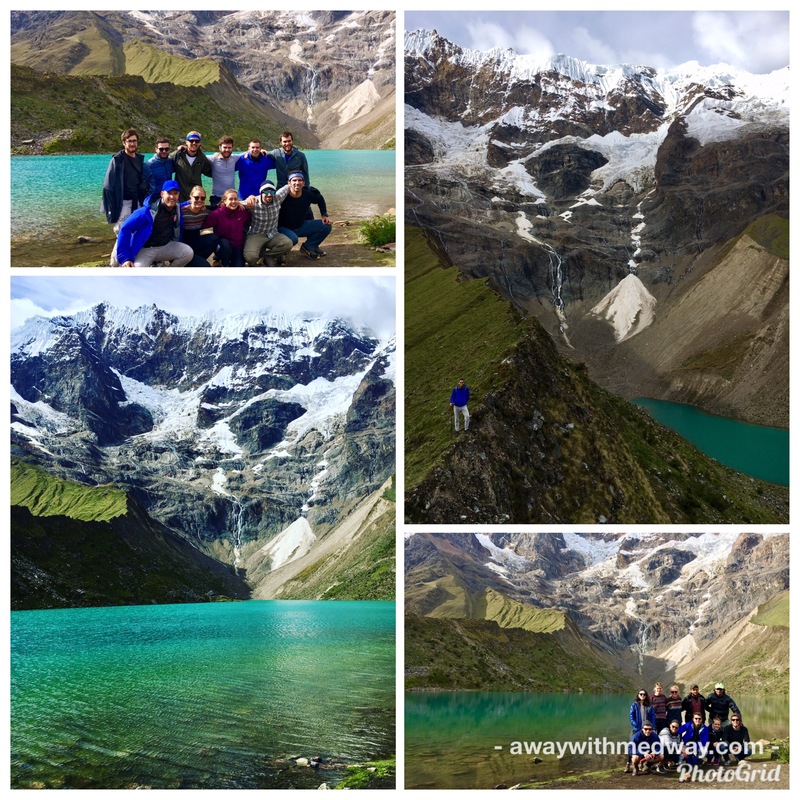 We managed to negotiate my five day Salkantay trek for $155 including zip lining and they booked their four day jungle tour for $120. A good $20-$30 saving. 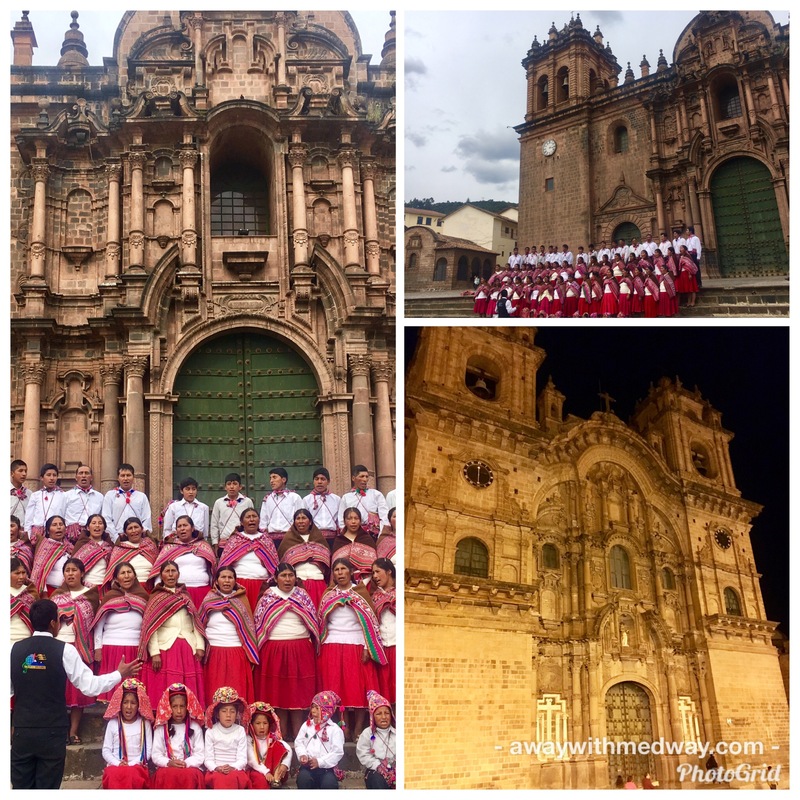 Before the trek started we had a few days to explore Cusco and see what all the fuss is about. Well if I’m honest and you know I always am – I couldn’t really see what all the fuss was about. Yes it has a nice plaza or two with a couple of old red stone churches, so some old Inca stones and tons of tourist shop selling tat. Not to mention the hundreds of women and girls in the street asking every gringo if they want a massage. Thankfully our hostel ‘The Magicpacker’ was just far enough away from all the tourist stuff. It had the largest bunk beds and dorms I have stayed in so far, set around a main courtyard that was perfect for relaxing in the sun. And possibly the best hot showers. The next day we booked quad biking through the same agency, as there was little to do in Cusco, and the kids really wanted to do it. One hour away we arrive at the Sacred Valley of Moray and spent the next three hours tearing about the Peruvian countryside terrorising the locals. There is also a trip to the natural Salt mine, impressive to see terrace after terrace of salt that flows down from the hills. All before the hilarious moment Keno falls knees deep into mud, not once but twice. Four am and I get a tap on my shoulder – it’s the night guard saying my guide for my trek is here. I managed to sleep through my alarm, so I had to quickly get dressed and grab my bags and run, hoping I haven’t forgotten anything. Arriving at the plaza for the bus there is a huddle of about 30 people and who do I see but Toby and his friend Aaron, whom I last saw in Mancora three weeks before. After two hours the bus arrives at the first stop Mollepata for breakfast and to be told who our guide will be. My group of 10 had Saul as our guide, a 36 year old Peruvian with long hair and a big smile and a funny sense of humour. 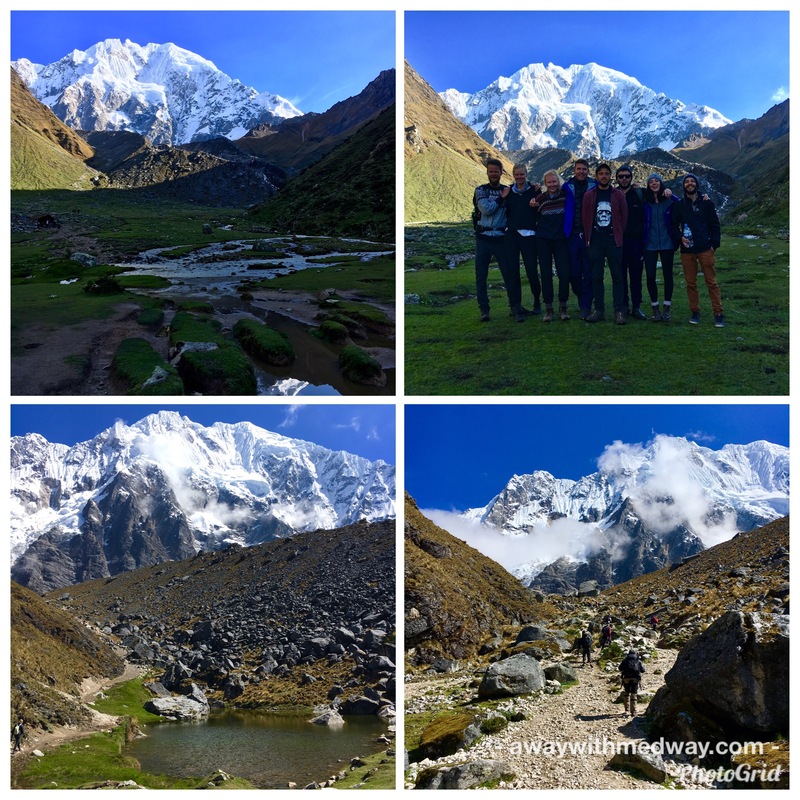 Day one of the five day 63km trek consisted of starting to descend from 2900 metres up to base camp at Soraypampa 3850 metres above sea level. It was a three hour trek along the edge of the following irrigation stream the local farmers use with views of the Valley of Apurimac River. Arriving at Soraypampa for lunch, I was surprisingly feeling ok – my breath was a little shorter than usual, but so far no effects from the altitude. Lunch was far better than expected with a treat of freshly made guacamole, chicken, veg and fries. The afternoon would be spent making the 2 hour trek 2600m up to the Humantay Lake at the base of Humantay Mountain. The consent steady climb up was tough, probably the toughest yet thanks to the altitude and the headache it was giving me. Every 15 minutes would require a stop to slow my breathing and heart rate. Reaching the top and the edge of the turquoise lagoon was exceptional, the blue and green colours of the water against snowytopped mountain was breathtaking. The best lake of the trip so far. That evening would be our first night in a tent, and as I was travelling solo my tent friend would be Daniel from Germany. The next day was an early start and pitched to be the most difficult. So after dinner it was an early night. Wake up was at five am by the chef with a hot coca tea. We had thirty minutes to pack our bags before breakfast. Each person being allowed 5kg for the horses and the rest you take on your back. So packing light is very much recommended. 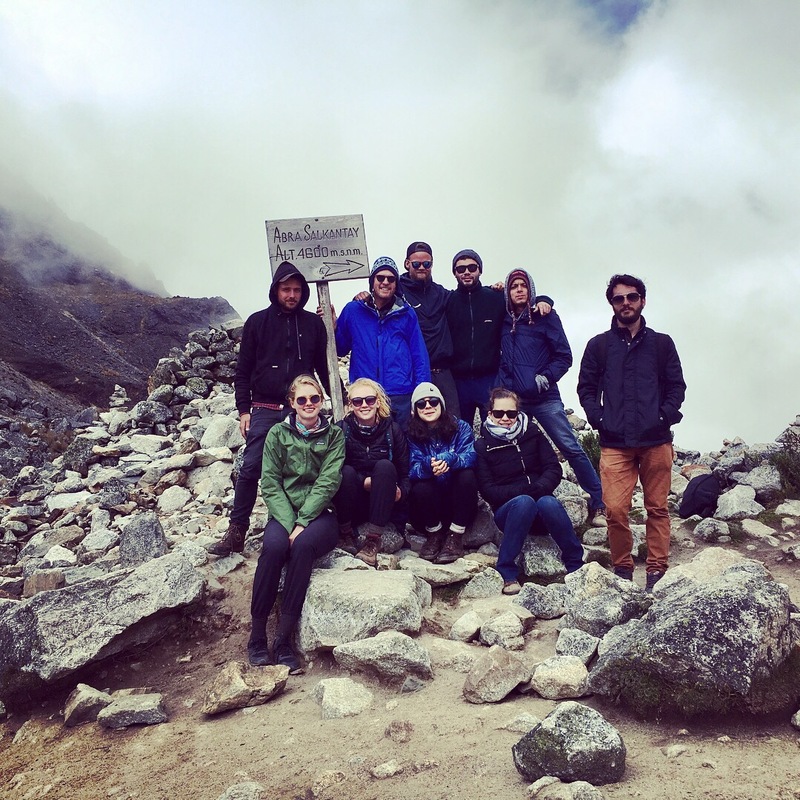 Some didn’t get the memo, as poor Ludvic had 12kg on his back, that included a bottle of pisco for the celebration at the top of the Salkantay pass. 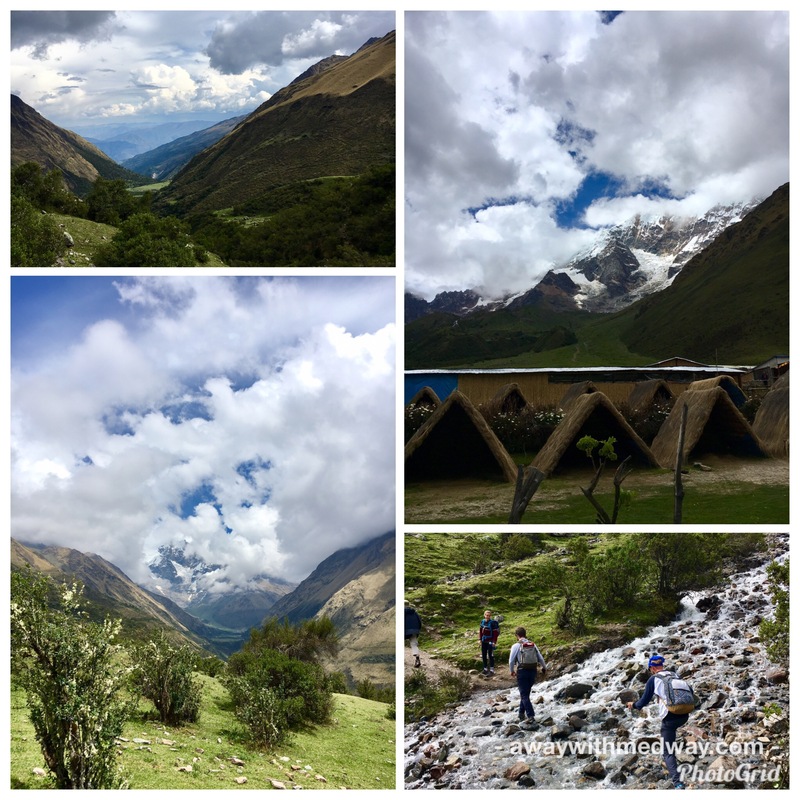 The trek up to the pass should take up to four hours to a height of 4600m. Halfway up Saul our guide said that there are two options we can take. The ‘Gringo Killer’ that had the best views or the easy route. Obviously we opt for the steep zigzag path of the ‘Gringo Killer’ for the the best views. Seemingly fully acclimatised, I pressed on with my fellow fast trekkers and made the pass in just over two hours. I was amazed at how quickly, Tara, Hannah, Daniel, Ludvic and myself made it to the top. Feeling pretty good with ourselves for making it in such good time and while we wait for Saul and the rest of the group, Ludvic cracks open the pisco and we down a shot. Obviously not before offering some to Pacha Mamma. Reunited with the group, Saul talks us through the Inca traditions and how important the mountains are and how they are respected and feared, by offering coca leafs and more pisco before we take another shot. Then I jump right out of my skin as this almighty cracking sound echoes around the pass and snow and ice starts to fall down the side of Salkantay. Thankfully we are far enough away to just watch and listen in amazement. It reminds you who is in charge up here – Pacha Mamma – and how she should never be taken for granted. Now late morning and the weather starting to turn it was time to start the one hour hike down to where lunch will be served. Following the flow of water down the gradual slope, the valley turned from rock to green and looked a lot like the scenery you see in the Scottish Highlands. After the usual lunch of some meat, two carbs, some veg and coca tea it was time to make the two hour decent to the camp at Chaullay for the evening. And when I say decent – I mean a gruelling steep trek, covered in rocks and scree, making it hard on the knees. At times we wished for a slight incline or flat part to give our legs a rest. But alas no, it was just down. Finally arriving into Chaullay it was time to collapse and not move until dinner. Slowly one by one each of the group made it down and we celebrated with copious amounts of rum, pisco and wine. A great end to a great day. Definitely the most intense on the body, but much easier than I had expected and achievable for inexperienced trekkers.